This was my only session to make it through the call for papers–this is a session I have done for a few years, so it was really cool to see it voted through this year instead of using one of our corporate slots. Once again, I am presenting alongside Vaughn Stewart to talk about best practices for All Flash Arrays with vSphere. I promise, this is not a Pure Storage sales pitch. Nor is it a competitive session. This is really about how introducing an AFA into an ESXi/vCenter environment means to you configurations/settings/considerations. What does having sub-ms latency mean to things like queuing, SDRS, SIOC etc? UNMAP of course. Data reduction impacts? Etc. I try to focus a lot on the why of settings, not just here is a number to set it to and move on. Understanding what a setting is, or how a feature works is more important than knowing what number it should be set to (in my opinion). 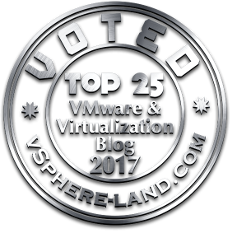 I gave this session at a VMUG a month ago and go really good feedback so I figured I would give it a go at VMworld. Essentially we will go into the ESXi storage stack and understand the metrics, values and behaviors of the various storage queues inside of ESXi and what it means for you. I will be talking about queues inside of ESXi, what the mean and if/when they should be changed. Not just VMFS, but also for Virtual Volumes. I touch a bit on this in the previous session, but this session is focused on this. I will go through a use case as well. This one I will be doing myself. Pure Storage allowed me to use of one of our sponsor sessions to talk about this which I think is really cool because it has nothing to do with Pure at all. This is the closest to a sales pitch that I will be doing. But I really intend this to be for even users that are not currently (or even plan to be) Pure Storage customers. I truly intend this to be a learning session around VVols–in many ways this is more of a pitch for VVols than really even directly Pure. But it will be a technical session, anything less would bore me. I will be presenting alongside Pete Flecha from VMware. Him and I presented at Accelerate (Pure’s conference) on VVols and I had a great time. 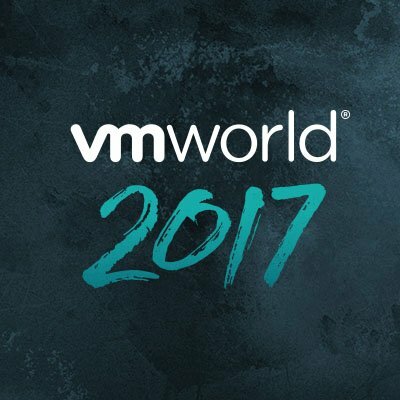 We are taking the show to VMworld! We will overview what VVols are. What we have done with VVols at Pure Storage. Performance information about VVols. Use cases. Etc. This is a 15 minute vBrownBag session on virtual volumes. The focus here is how virtual volumes actually unlock your data mobility not impede it. A common misconception is that VVols will lock you in further, more than VMFS. VMFS is a proprietary file system, so there is some lock-in, so with VVols being a proprietary architecture it must have even more lock-in, right?! Not so! Attend the session to find out why. Hi Cody, I’ve seen session #3 in Geneva last week, will be more than happy to see others in vmworld (europe). They all look great! 🙂 good luck for preparation! The session is full but you can join the wait list. If the wait list clears, you will be registered automatically and we will send a notification e-mail. I did get in your ADV3368BUS session though. Also, does anyone else think VMworld’s Session Registration UI is freaking awful? Sorry, hopefully they will assign a bigger room and we can get more people in… I appreciate your interest in the session(s) though! Very much! Or maybe if it goes well it can be repeated.